Teens aren't leaving the social media site, Zuckerberg claims. "People on average are spending more time on Facebook than ever before," says Mark Zuckerberg, and Facebook's solid Q2 financial report confirms it. Advertising revenue from mobile is one of Facebook's biggest earners, helping bump total ad cash up to $656 million, an 11% improvement over the previous quarter. This must be particularly sweet news to Zuckerberg, since mobile has been seen as one of Facebook's biggest problems; users just didn't seem to be on board, and in the past it has proved difficult to make money from that segment. But a base of 469 million daily users just goes to show how well Facebook's been getting the mobile message out. 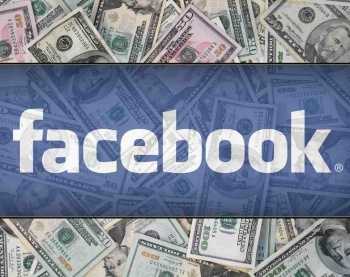 The bottom line is that, compared to last year's $157 million loss in this quarter, Facebook posted a $562 million profit in Q2, with $333 million net income overall. Zuckerberg doesn't believe teens are deserting Facebook for the likes of Snapchat and WhatsApp either. If anything, teen user numbers have remained steady, and get even better once you include Instagram in the mix. Some people lie about their age, he admits, but he doesn't think for a minute that lies account for all of Facebook's teen user base. "You could naively assume that more new services means people spend less time on Facebook," says Zuckerberg, but that just isn't so. "We've made good progress growing our community, deepening engagement and delivering strong financial results, especially on mobile," Zuckerberg concludes. Made all that, and a healthy profit too. What's not to Like?